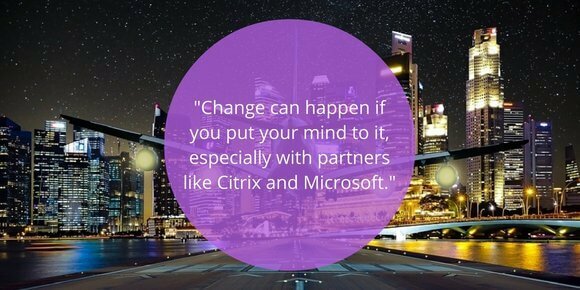 Citrix CEO, Kirill Tatarinov, did a blog post on how Citrix is redefining the workspace. Kirill Tatarinov thinks one of the most important ingredients of success is that of meeting the people of Citrix. As result of renewed focus on Citrix’s strategy of making the world’s apps and data secure and easy to access. Anywhere. At any time. And on any device or network. You probably think of a desk when you think of a workspace, but we believe that technology can empower and transform any workspace in the future, not just the traditional desk of the knowledge worker. Imagine how much time physicians can save with technologies that can automatically read and input information from patients as soon as they walk in the room. Imagine the efficiency in manufacturing when appliances can let field workers know when they need servicing. We are moving beyond a desk and a device and into a bold, imaginative world where all systems work together wherever and whenever you need them.